Home Off Beat	Ladybug spreads wings to play music! Ladybug spreads wings to play music! When we talk wood, we talk elegance. Decor in its purest form was and still is wooden. Newest entrant in the speaker market exploits wooden style to look cool. It doesn’t look anything like a speaker system but it is. Flaps slide to reveal volume and power controls, these flaps are made such that when open make system look like a ladybug. You can also use the system with flaps closed. 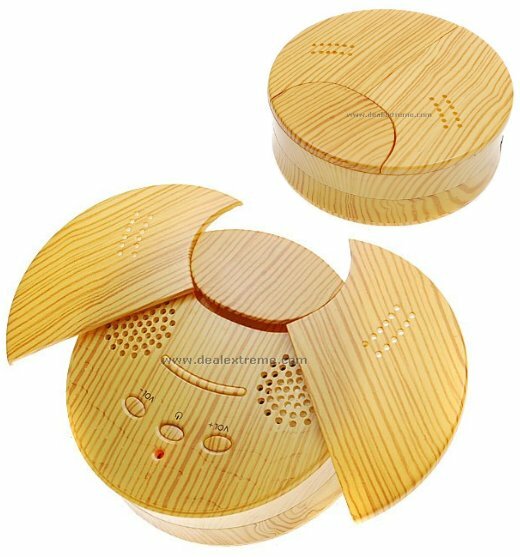 The wooden ladybug speaker system is powered by both USB and AAA batteries, and can be all yours for $14, its being sold at DealExtreme. Ribbon stairs – Ideal for minimalistic spaces!